New Delhi, July 28 - Fans of German automobile manufacturer Audi experienced the superlative style, performance and Quattro technology of the Audi SUVs, namely Q3, Q5 and Q7, recently in Noida. Speaking at the occasion, Mr. Sarvajit Verma, CEO Audi Delhi West and Audi Noida said, "The Q drive is to further give our discerning customers the opportunity to experience the legendary Audi Quattro technology on a specially created terrain for an unforgettable not be missed experience. 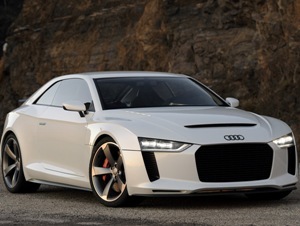 The Q drive experience is aimed at providing a hands-on experience of what Quattro has to offer". The Q-series , which shares propulsive power continuously between all four wheels, has influenced almost 40% of the total sales, a jump from 18-20 percent and its still on the rise.